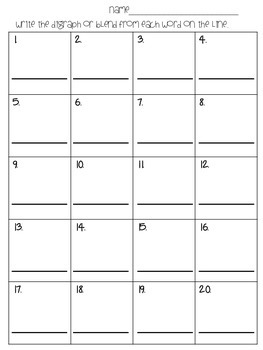 Students will take their recording sheet around the room. 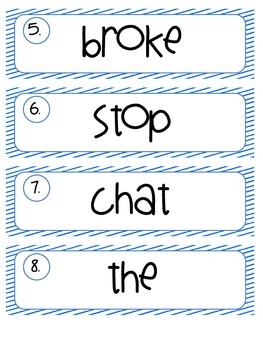 They will write either the blend or digraph found in each word (there are 20 words in all). 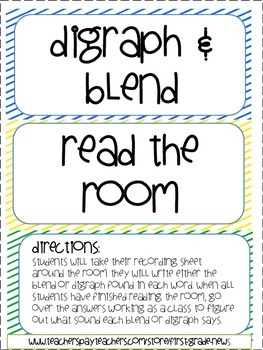 When all students have finished Reading the room, go over the answers working as a class to figure out what sound each blend or digraph says.